Coming soon to a community near you. Wild Salmon Warrior All Star Basketball. 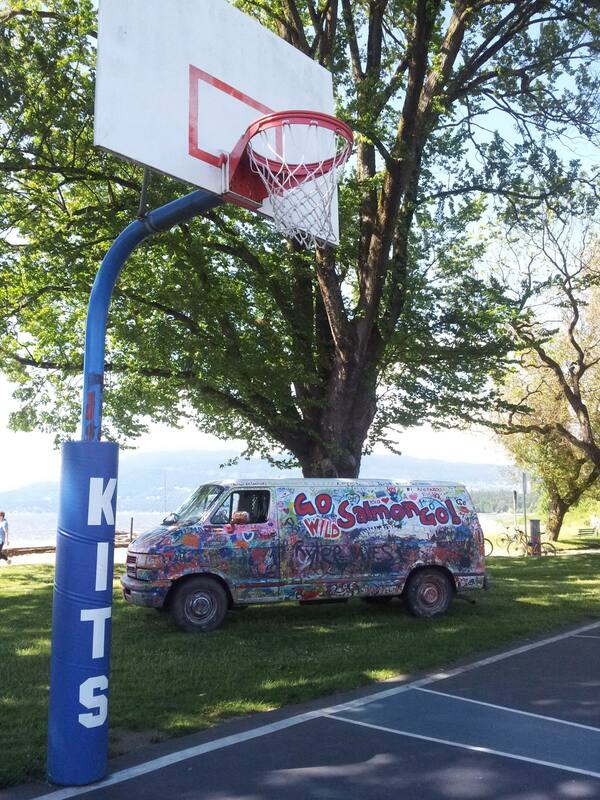 The WSWBB is a Community Basketball team and is a collaborative project created under the umbrella Canadian Sound Therapy Arts Society (CSTAS). CSTAS is a BC Based Non-Profit Society Arts Based organization aimed at facilitating healthy creative expression supporting Mental Health and Disability Communities. We have been producing Arts and Media content through events and festivals and through community based media including Shaw Cable 4 and CJSF 90.1 FM. Wild Salmon are a creative lifeforce and they are natural medicine and connect our communities and eco systems and a significant cultural icon on the West Coast. We feel it is important to protect and educate others through examples of leadership. We hope to spur conversations around salmon to unite people. The objectives of the WSWBB are to honour the Warrior Spirit and to express positive values in a community based manner and to provide a healthy lifestyle model for youth and young adults. The CO-ED format of the team reflects the balance of the masculine and femine spirit. We intend to have a number of Exhibition games and open practices vs local community teams including the Vancouver Police Department, Vancouver Fire Department, RCMP and others. This is intended to build relations and showcase healthy competition. We intend to utilize the community based media to help spread the message. We will engage in outreach opportunities at local schools, community centers and in indigenous communities. Community groups, organizations and non-profit organizations that support our values will be invited to participate.